New Jersey Family Unexplained UFO: Part 5 Boris Talks About Death and Afterlife. Home → Damien Zone → New Jersey Family Unexplained UFO: Part 5 Boris Talks About Death and Afterlife. Readers: It was obvious in the previous chapter of transcripts that “Boris Jones” likes to talk. While there is a certain tedium involved with transcribing a conversation word for word, I think it’s for the best. After all, he has a story to tell and the more he tells it, the more the story becomes coherent. It is important to keep in mind that my conversation with Boris went on for hours and hours. I tried to keep the tapes of those conversations in some kind of order — something which proved to be virtually impossible. Conversation with “Boris Smith” (cont’d) 5 January 2012 — originally posted as Part 19 December 2011. Me: So FONVA is not a faith-based organization? Would I be correct saying that? Boris: FONVA is not faith-based by any stretch of the imagination but like I said, it’s easier for people to graduate to the level of FONVA thinking if they are spiritually minded. The nature of the belief is not important. The idea is that there are two kinds of human minds. The vast majority of people believe in some kind of iconic entity and the rest do not. The, ‘believers’ if you will, are more likely to find reward from whatever crop of knowledge that is eventually harvested by FONVA — although that might no be for years to come. Me: But it has nothing to do with religion. Boris: In a sense, the very essence of religious beliefs is the belief that a superior being or beings created human civilization and in a sense that is the complete truth. Things become corrupted or confusing when the whole concept is perverted by years and years of story-telling and the simplicity of man’s thinking. Then the word becomes, ‘god’ and the whole thing gets crazy. Inherent to almost all religious belief is the concept of life after death. FONVA is very heavily invested in teaching the concept of an afterlife and they devote much study to it — they must have been doing this for tens of thousands of years before they revealed themsleves to man and became FONVA as I know it to be. There is a physicist — his name escapes me — but he said something on a TV documentary, the one with Morgan Freeman, I don’t remember the name of the show, but as soon as I heard the words I knew he was FONVA. His theory is a purely mathematical theory that explains that all the dead shall return to life and that return to life will be brought about human beings hundreds of thousands of years in the future. Sounds crazy when you first hear it but it actually makes sense. The general theory in FONVA — and this is one of their oldest principles — is that human consciousness is palpable. It is real and hard and had mass. Of course the mass is minuscule, but it is mass nonetheless and it survives death. The day will come when all human minds will be resurrected and returned to consciousness in one form or another. The reason that the human belief in life after death has been around for thousands of years is easy to explain in that time is a complete illusion as it appears before the human brain. Do you think that the whole idea of going into the light and meeting dead relatives is a new one? Trust me, it has been known for quite some time and this was one of the first facts revealed to the scientist who started FONVA. I would say that the entities behind FONVA are most interested in this because to prove it to humanity will be a very touchy thing. It might cause chaos. Would you go to work and save money and contribute to society if you knew that death was a better option? (laughs) I keep going but I do not fear death. I do not welcome it either, but I am not typical. Me: Who revealed the truths about life and death to the humans at FONVA? Boris: I do not want to complicate things so let’s just say that alien beings put the facts before the greatest minds of the day and the whole thing springs from there. Me: But when I hear that, I hear that these beings gave these guys a little of that “old time religion” in an attempt to get them to work and further their agenda. Boris: No, you are wrong. Boris: Plainly and bluntly, you are 100% wrong. Nobody was selling religion to anyone and the alien entities don’t care if you believe in what they show you or not, they simply do what they do and eventually the humans around them start to realize that everything they say is true because they have no reason to lie. An alien being lying to a human being would be like a human being trying to tell a lie to a cockroach. Me: We lie to cockroaches all the time. We put out food that isn’t really food and they eat it thinking that it’s food and then they die. So, are we not lying to cockroaches? Boris: (laughs) You should work for FONVA and you will see that what you just said is the essence of how human culture is manipulated by alien entities. Mind you that I say manipulated and not mislead. Nobody is deprived of free will. Fonva has determined that human beings are essentially creatures who live in the wild and because of that their life expectancy is short. FONVA, before it was FONVA, originally revealed themselves as religions icons and such because it’s a way of holding humans captive in a loving and caring way. And there are captive humans — people who are prisoners of FONVA with no hope of ever being free. There are human beings who have been captured by aliens for one reason or another. There are people from FONVA who have not seen the earth as we see it for 40 or more years or those who have died while working with FONVA. They are captives. I know one man who was intentionally captured in 1955 and is still working for FONVA. He has been allowed to watch his family grow old and die. He has been shown to not fear what he sees because he has also been shown glorious things and in that he finds a kind of comfort people like you donot understand. His family simply reported him missing after a fishing vacation but the truth is that he was taken, Damien. Most people who claim to have been taken were temporarily taken so as to mask the identity of a nearby person who was actually taken. These are the abductions that make the headlines. Why do they actually take certain people and never return them? The answer is easy. Some humans are genetically more advanced than others. This does not mean that they are smarter than anyone or they have any great enlightenment, but they show a genetic trait that marks them as advanced. I do not know what the genetic trait is. The whole idea of the captured human being prodded and probed and injected and inseminated is totally false. It has never happened. The idea that it has happened is real in that the memory has been implanted into captive people, but saying that these entities need to do medical exams on ordinary people is absurd. They know what they know. The annoying things is that they simply do not tell the people who work with them what they know. It is up to the human students of FONVA — I call them students — to figure out for themselves and sometimes something that would take 2 minutes to learn if they would just tell you, takes 10-20 years or more even for the most gifted people. It’s very frustrating and you want to take the little bastards and shake the information out of them. Me: So there are actual entities who interact with humans? You kind of avoided saying that in our earlier interview. Boris: Yes, they are actually entities but they are nothing more than teachers or instructors. Yes, they emit green light when they are threatened or they are frustrated. That’s a long story. They are very officious and domineering, but like I said, students who stick it out and learn, gradually begin to love and respect the aliens because they share precious information with humans from time to time and when they do this, the students are glorified by this and they learn more and more and more. If I were in a restaurant, I would say that 9 times out of 10 I can pick out a FONVA person just be looking at them or listening to them. It’s rare that I see one but they’re out there. I would say that in the USA there are about 300,000. You never know who they are but I do — mostly. The woman who talked to me from American Airlines was without a doubt a FONVA student. I can tell by our conversation that you yourself (Damien) are not FONVA despite the fact that you seem sensitive their information or existence. Maybe you will be eventually captured or perhaps FONVA will read what you write and be satisfied that you are putting out just enough information and view you as a pastoral person — a missionary of sorts even though you have no idea that you are a missionary for FONVA or what word you are spreading. (laughs) Your information may or may not vanish from the internet but then it might come back. It all depends. The fact that I called you and the Loungemounte family was quick to talk to you is ample testament to the fact that they like what you are doing, but they’ll keep an eye on you. Actually, the alien entities will pay no attention to you whatsoever, but the students who have graduated to a certain level will make the decisions. Sometimes, and this is very strange, sometimes the people who are reading this are more apt to be captured than the person who writes it. Boris: Because I am saying on this website what I am saying and the person who searches the internet in search of what I am saying might be the person they want — the person with the genetic elevation. As a regular person I would be more frightened to read this than I would be to write it. Knowing what I know now I would not be frightened at all, but if you try to tell a regular person that they are going to be taken away by aliens and see if you are not treated with anger or extreme fear. I would even imagine that the advertisements that Google puts on your website are subliminally not really Google — that is just my intuition. What tells me that is that some of your ads are not Google and some are — that is unusual, but I can tell that you are not FONVA. If I am wrong, I would be very surprised. Me: Is there anything to fear about being taken or captured? Boris: Of course because you are dead in a sense. You are gone. You never see your family again in the flesh and even if something horrible is happening in your human world, there is nothing you can do about it. At times like this, a teacher will show you something that will make you understand. Again I should say that only a small percentage of FONVA are captive. Most are free to be as they wish. Me: What’s to say that the captives are not drugged into some kind of complacency? Boris: There is no reason to do that. There are many student captives who resist so they are allowed to die and see the results. Then they bring them back and all is well. They see the ultimate result of death for themselves and they see it as a wonderful thing even if the manner of death is horrible. Me: But it could all be a lie. Boris: It is not a lie. It is real and it happens all the time. The students who are allowed to live their lives outside of FONVA — which is about 95% — sometimes ask to be enlightened because they can’t deal with the death of a loved one or a life event, but they are not allowed. These people have to rely on the information given to them by the captives. Sometimes it works and sometimes they don’t believe the captives who know more. It doesn’t matter because nobody is bound to FONVA. They can leave whenever they wish. Me: If this is all so secret, why can people just come and go from FONVA? Boris: Because nobody would believe them. I would say that 99% of people will not believe a word of what I say to you. I don’t care. I have no artifact that proves I have worked with alien beings who have the power over the life and death of anyone who has ever lived? That’s the sticking point. I have nothing — NOTHING – to prove that what I say it true. Nothing I ever touched while in a FONVA environment moves with me into the human world. That’s how they get you — like they say in Jerry Seinfeld. Me: If I believe you, am I going to get scooped up by FONVA? Boris: Odds are that you are not — odds are that 99,9999% of people are not, but like I said, they might like what you do but the US Military might not like what you do — the whole thing is silly because the military has no power over FONVA but still, they might not like what you say. They don’t really know why they don’t like what you say, they just know that it’s something they would feel better about doing. It’s like being invited to dinner — what do you do? You bring a bottle of wine, right? So, you write about FONVA and alien abductions and reveal military truths about FONVA — what do they do? They erase it from the internet or they come and talk to you like they are so important and you should fear them. It’s laughable. It’s a lopsided kind of comedy of errors. Me: So before I change the topic, according to aliens, there is life after death? Boris: According to what alien entities have taught students at FONVA since the 1950s, death is an illusion and I have no information what they have taught humans since the dawn of time. Life — living your life — is only a part of the illusion. Time is an illusion, so when a person dies they see an afterlife — but then you might ask, ‘how can that be if the true resurrection of souls will not happen for at least one hundred thousand years?’ It’s because the resurrection to life is a perfect example of an event horizon. Everything that has ever happened, or will ever happen, is happening at the same time. You have no idea how primitive the human brain is. The brain is primitive, but the mind is not. There is a huge difference. Let me just say that everything in your brain is saved for eternity and eventually you get it back. The trouble is that sometimes the enitities make mistakes. They are not so great that they do not make errors. Of course some errors are intentional and some are simply errors. I am of the belief that all their errors are intentional — like a form of theater. Me: Give me an example. Boris: The most obvious example would be Roswell or Area 51 — totally man-made silliness, but between you and me is the incident with the Loungemounte family. To me it is obvious that they came to capture someone but it got screwed up for lack of a better way to put it. The messenger in the bell-shaped craft was supposed to take someone and my best guess is that it was Millicent because I never liked her and for me not to like her makes me think that she was ripe for capture. I have never met a captive who I would have like on a personal level in life. There is something unlikeable about them — they have an arrogance. Something about her was very annoying and in my experience, she would be perfect for FONVA. But then the old man stumbled in and then conveniently died after telling the story about how he saw his dead wife and all that other stuff. But as real as it all was, it was a staged error. It was all done on purpose. It was too easy and too obvious. In real life the bell-shape vehicle would vanish and nothing would happen other than Milicent would have gone missing sometime in the next year or two. Me: So they would not at that moment abduct her per se? Boris: Of course not. Nobody is simply taken away unless they are already a target of FONVA and somehow meet with a bad fate. In Millicent’s case they would set up a series of events where she would be taken. The old guys’ story, which is actually true as I have come to know it, was simply added theatrics — but what he said is true. His story is actually more interesting than the story of the Loungemounte family because his is the first of it’s time. Nobody seems to realize that. The hilarity, however, is the grand stage production of the military coming to take away the alien and the craft. Let me tell you something. That craft and that alien vanished with minutes or seconds of being put into military vehicles. They drove away with nothing. Me: Why would they do this? Boris: Because it is real in the sense that it all happened and it gives them a reason to flex their muscle. They know what will happen and that their work will be for nothing, but they have convinced themselves that they are learning about UFOs — in truth they have learned nothing. It’s a big show. They know as much about UFO’s now as they did in 1945 — nothing. Me: Is there a FONVA now living in the public eye and you are certain that they are FONVA? Me: Can you say who they are? 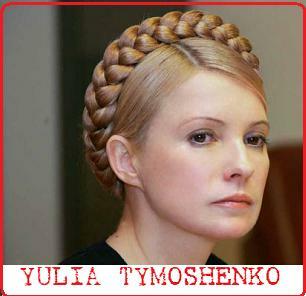 Boris: Yulia Tymoshenko, the former Prime Minister of Ukraine. Me: She was recently sentenced to jail for 7 years. Boris: Yes, but that’s another political show. She is handcrafted by FONVA and she might have decided to go in the public eye to get some rest. Sometimes I think she is very high ranking FONVA. All you have to do is look at her. well…maybe not you or the average person….but I see it and know it. I would rather not say the other person. You can see in Tymoshenko that the truth about death has been revealed to her. She has altered her beauty so as to be more humble although some see it as a way of placating the average Ukrainian by wearing a native peasant hair style but yet have Paris high fashion. It makes me laugh but it is so true about FONVA people. The USA cloaks them. The UK refines them and the French clothe them. It’s very much of an art imitating life kind of thing in a demented way. Well? Been waiting for days for the rest of the story…. still planning to post it?